Lake Mendenhall Glacier – This is a 12 mile arm of the Juneau Glacier. 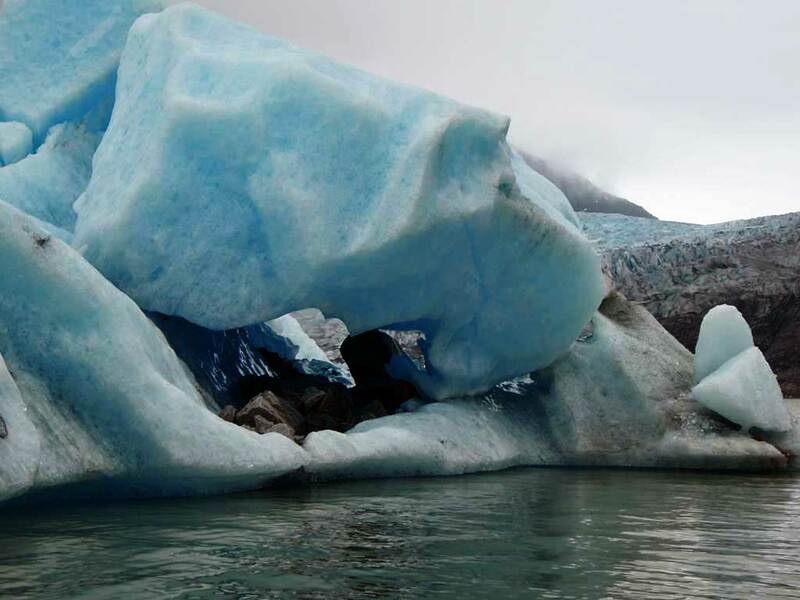 The Mendenhall Glacier ends when it runs into Mendenhall Lake. 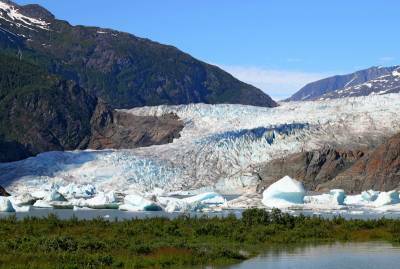 Mendenhall Glacier is the most popular tourist attraction for people who visit Juneau. The glacier is about 20 minutes north of Juneau. 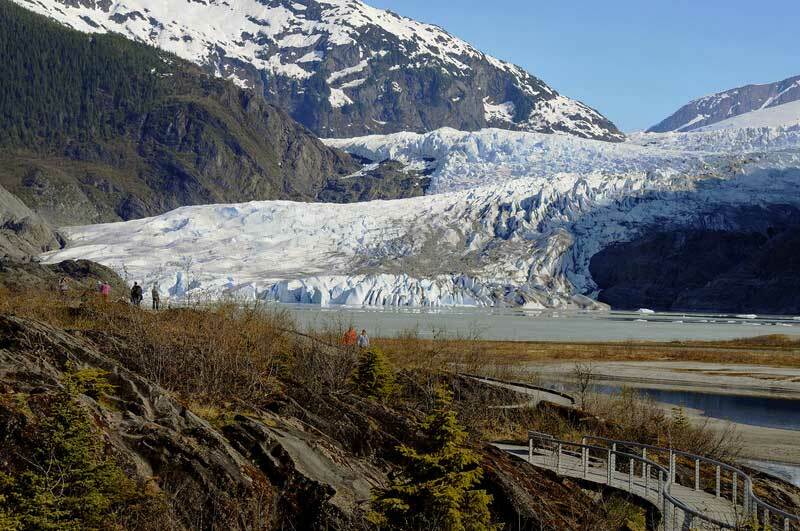 Take a shuttle bus from the cruise ship dock to the Lake Mendenhall Visitor Center or join an organized tour. 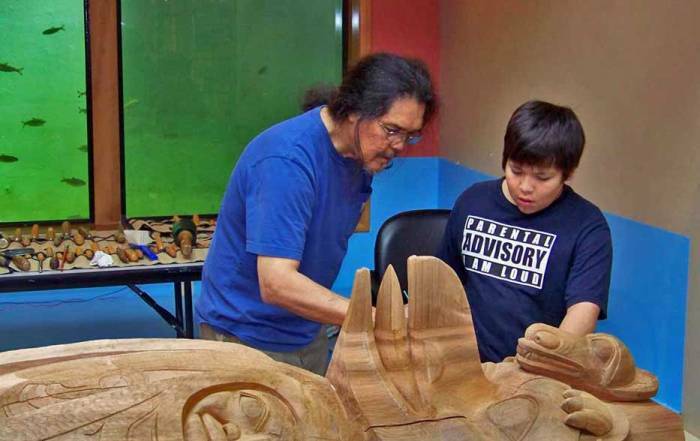 Try Juneau in One Day: Mendenhall Glacier, Whale Watching and Salmon Bake. Catch the Mount Roberts Tramway right at the cruise ship pier. Ride the gondola cable car up to the 2,000 foot level above the city. 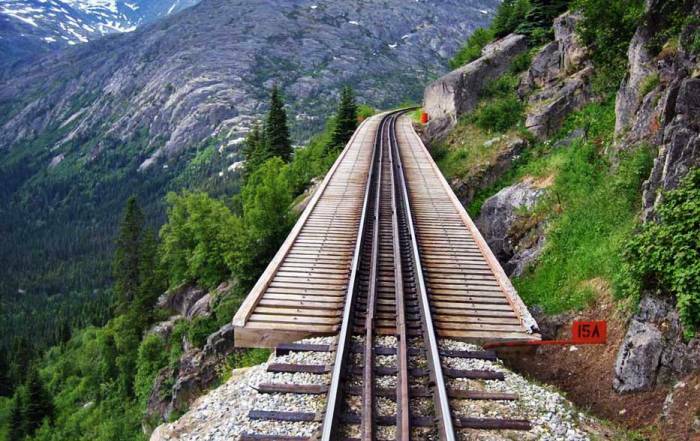 The Mount Roberts Tramway operates extended hours during the cruise ship season. Your ticket is good for as many rides up and down as you’d like in one day. 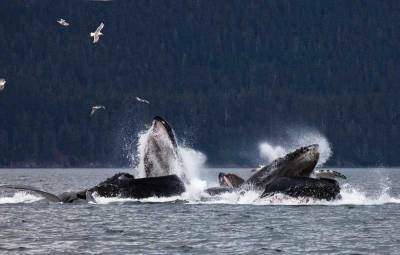 Juneau Whale Watch tours from Auke Bay, 25 minutes from Juneau. One of the best spots in the world to see humpback whales. Juneau Whale Watch is our #1 recommendation. 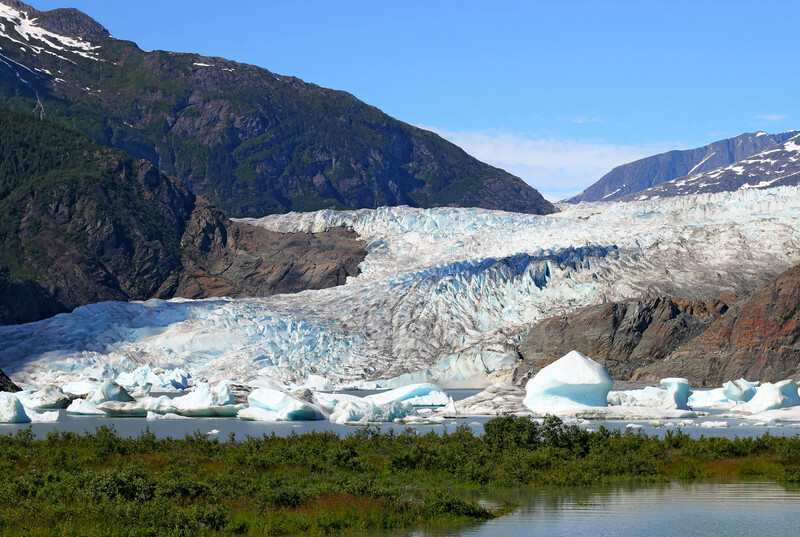 They pick up at the cruise pier in Juneau and will also take you to Mendenhall Glacier. You can’t drive to get to Juneau, because there are no roads connecting Juneau to the rest of Alaska. The main way that tourists get to Juneau is on the multitude of cruise ships that dock in the town during the summer months. The Juneau International Airport is only about 10 minutes north of the city. The Juneau airport is not a major airport but rather a connector to coastal communities via Alaska Airlines. The Alaska Marine Highway System (ferry system) is another way to get to Juneau. The Alaska Marine Highway system connect the Southeast Alaska Panhandle coastal communities. 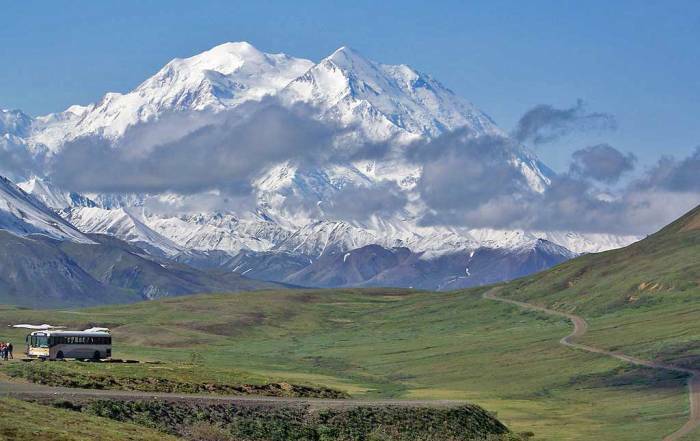 The marine highway also connects to Bellingham, Washington in the south and the Aleutian Islands & Alaska Peninsula at the western extremity of the Gulf of Alaska. The Juneau weather is moderated by the Pacific Ocean. June – August is the height of summer. Expect average summer highs of 62 F (17 C) and average lows of 50 F (10 C). Summer is also the driest time of year. Precipitation peaks in September and October with a monthly average in excess of 12 inches (300 mm). From November to March, average highs are a few degrees above freezing and average lows are a few degrees below it. December is the snowiest month, with an average of over 2 feet (60 cm). 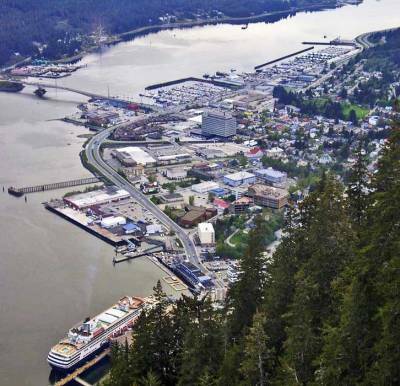 June gets our vote as the best month to visit Juneau. Juneau is the capital of Alaska, with a year round population of more than 30,000. 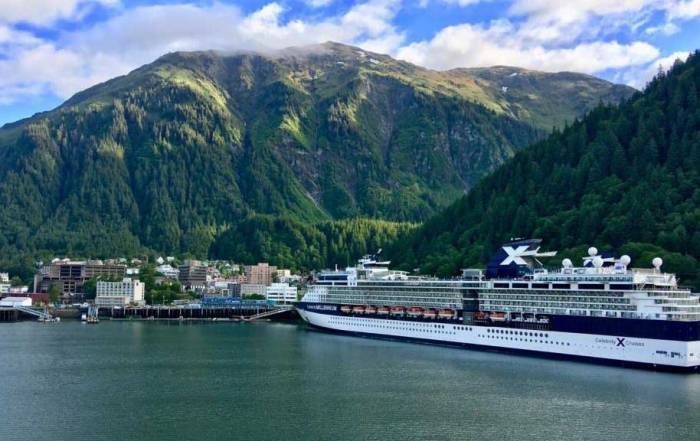 The city is at sea level on the narrow Gastineau Channel, which is barely wide enough to turn a cruise ship around in. The port is congested in summer with cruise ship tourists frequenting souvenir and jewelry stores. 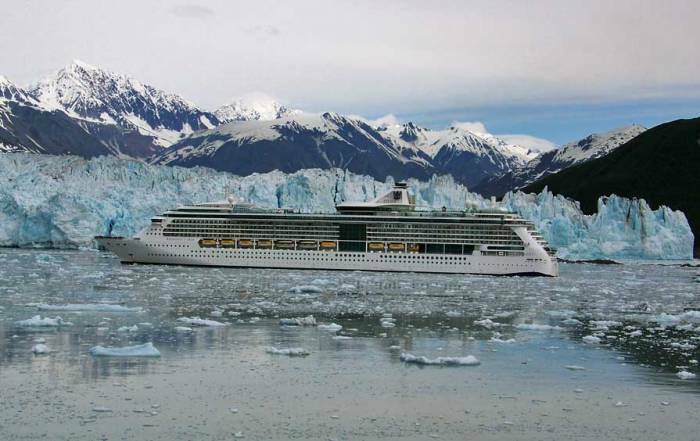 The Alaska summer cruises have a significant impact on the economy of Juneau.